Climb onboard the Old Town Trolley of San Diego and enjoy a two-hour, fully narrated, fun-filled tour! 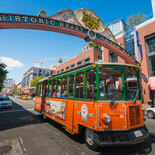 With 10 stops you can disembark along the way and enjoy Old Town, San Diego Embarcadero, Seaport Village, Horton Plaza, Historic Gaslamp Quarter, Coronado, Balboa Park & San Diego Zoo and Little Italy. 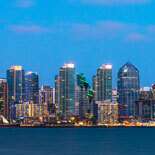 What an amazing package to explore San Diego from day to night. 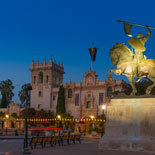 City Lights Night Tour- See online reservations for specific tour dates and times. No tours offered during December. Trolley Tour: Reservations are NOT needed or accepted. Tickets can be used on any operating day within 12 months of the purchase date. City Lights Tour: Reservations are required. Guests must check in 30 minutes prior to departure. Late check-in may result in forfeited reserved seat. Reservation based tickets are non-refundable. 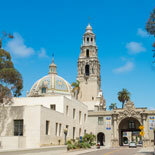 You may reschedule up to 24 hours in advance of tour time by calling 619-298-8687. Old Town Trolley: Main Stop (Stop A) Old Town located at 4010 Twiggs Street; (Stop B) 1004 N Harbor Dr.- San Diego Embarcadero at Harbor Drive and Broadway; (Stop C) Seaport Village at 470 Kettner Blvd; (Stop E) Horton Plaza Shopping Center; (Stop H) Coronado McP's-1107 Orange Ave.